Carvings can be laid out so the wood grain enhances the carving. 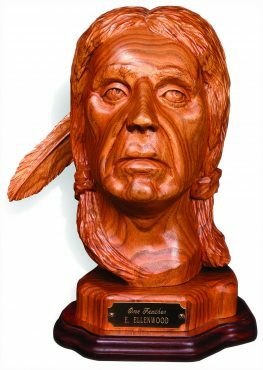 Notice how the grain lines match the natural flow of the face. Grain can either accent your carving or weaken it considerably, so it is important to pay attention to the grain when planning a carving. Under a microscope, the cross section of a tree looks like the end of a large bundle of straws. These straws are the vessels that carry water and minerals from the roots to the crown. Collectively, the arrangement of these vessels is referred to as the grain of the wood. 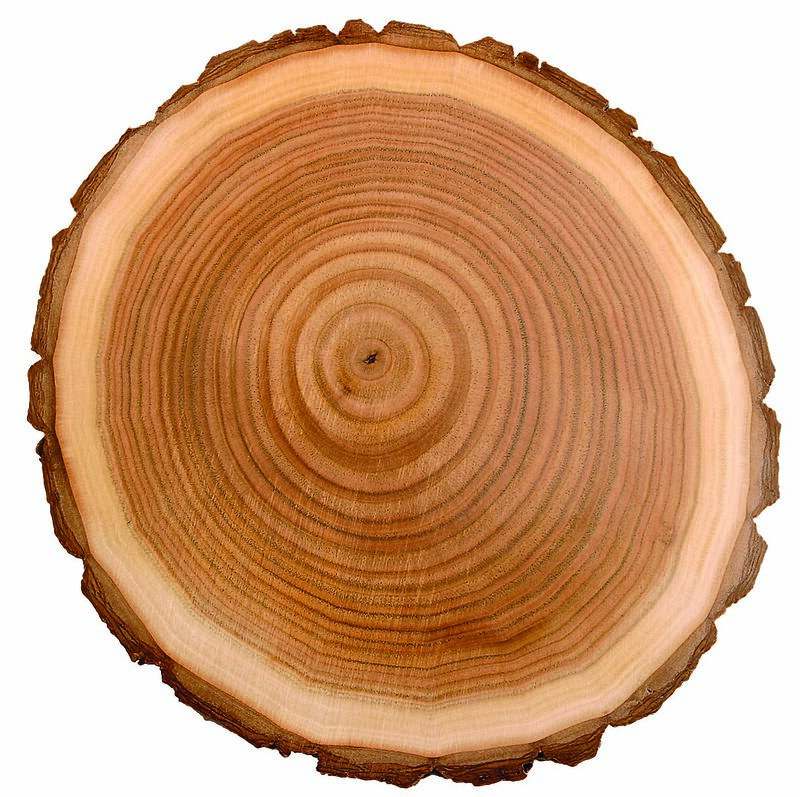 Straight grain, spiral grain, coarse grain, and fine grain all refer to what we see when we look at a piece of wood. 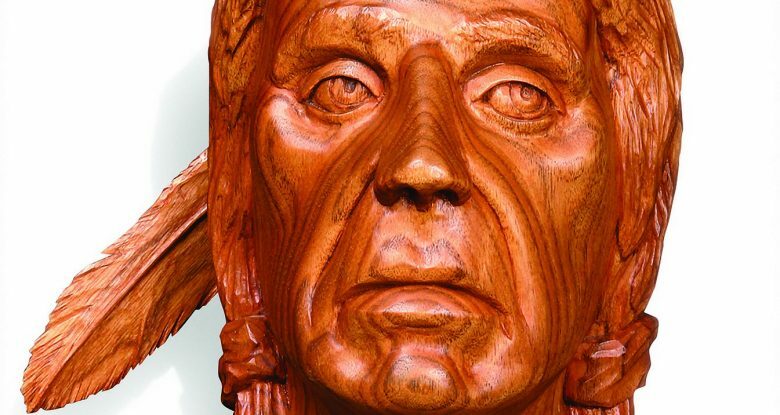 Having the grain balanced on the face of a carving makes it more pleasing to the eye. 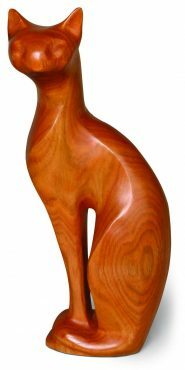 Notice how the grain sets off the nose of the cat. Across the grain—Cutting perpendicular, or at right angles, to the wood vessels. With the grain—Cutting parallel to the wood vessels. 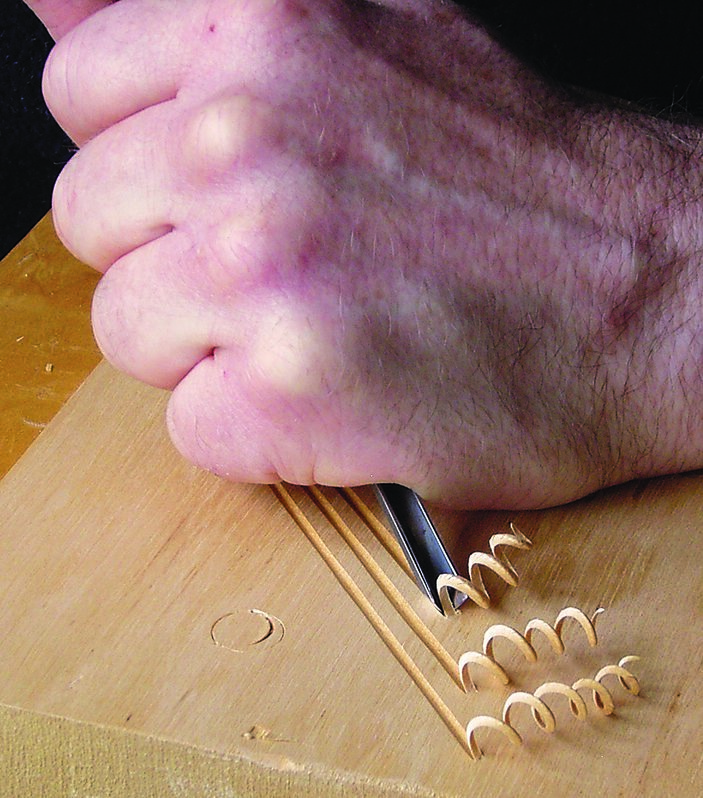 Against the grain—Cutting at an angle to the vessels, producing a splintery cut. Into the grain—Cutting between the vessels. 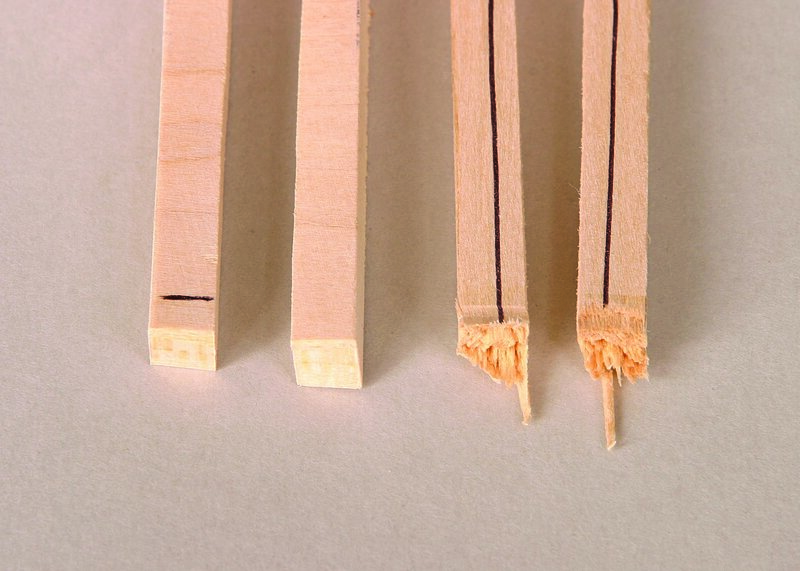 Splitting with the grain—Tearing of the wood, which normally occurs when you cut between the vessels. In addition to affecting how the wood reacts to tools, grain affects the strength of the wood. 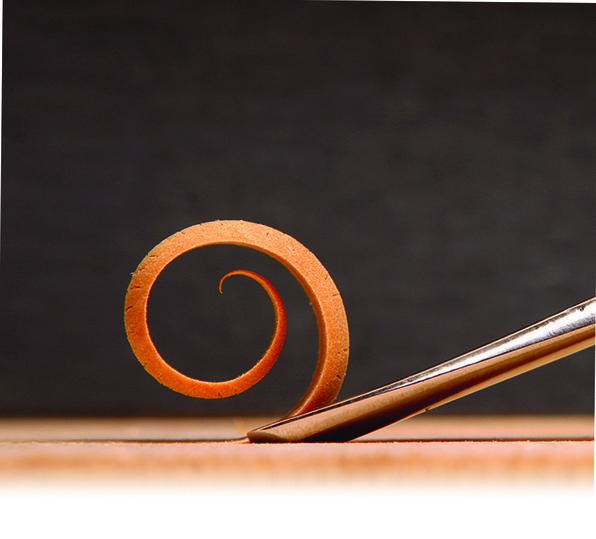 A simple test proves the direction of the vessels has a profound impact on the wood’s strength. The three pieces with short vessels running through them were my first test group; the three pieces with long vessels were my second test group. 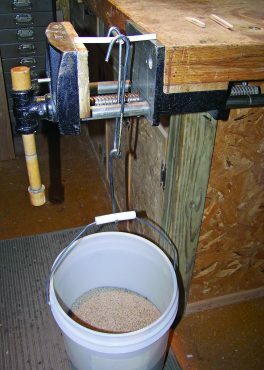 I placed a metal bar across the test piece of wood and attached a hanger to the metal bar and to a container. I added sand to the container until the test piece broke. The hanger, pail, and sand used to break each test piece was weighed, and an average for each group was calculated to see how much weight it took to break each piece of wood. The short-vessel pieces averaged 2 pounds, 13 ounces before they broke. The long-vessel pieces averaged 30 pounds, 11 ounces before they broke, producing a splintered end. To make the golf club shaft, I split a piece of wood from a straight-grained scrap piece of wood and then formed it into the shaft. From my results, we can deduce the following: On the pieces with short vessels, the fibers that make up the vessel walls are very short (meaning the grain is running up and down), so they split apart from one another under very little stress. The pieces with long vessels have the grain running the full length of the piece, so each of the fibers that make up the vessel walls had to physically tear before the piece broke. This physical structure is what makes these long-vessel pieces very strong. 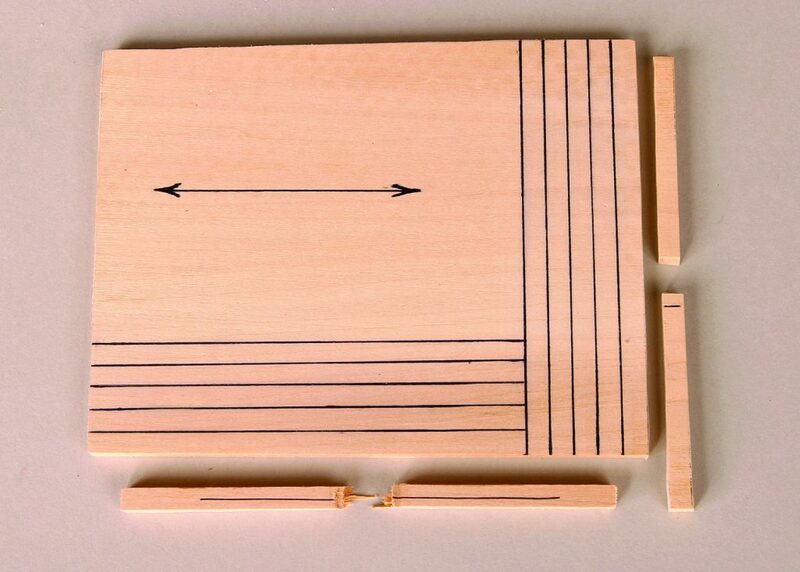 Through this experiment, you can see how important it is to lay out a project so the wood grain runs the length of the most fragile area to give it maximum strength. Not all carvings will work out so nicely. 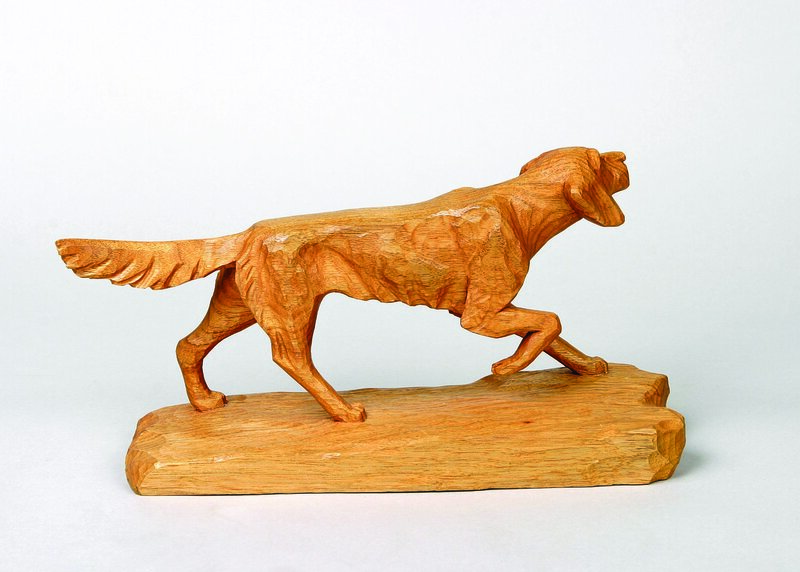 For example, in this carving of a dog, the wood grain runs parallel through the head, body, tail, and the top part of the raised leg, leaving the area below the knee (where the short vessels run) as one of the most fragile parts of the dog. To move this fragile part away from the normal viewing area, I turned the head of the dog so it looks away from that side. The leg that is up is to the back of the carving and is less likely to get bumped and broken. 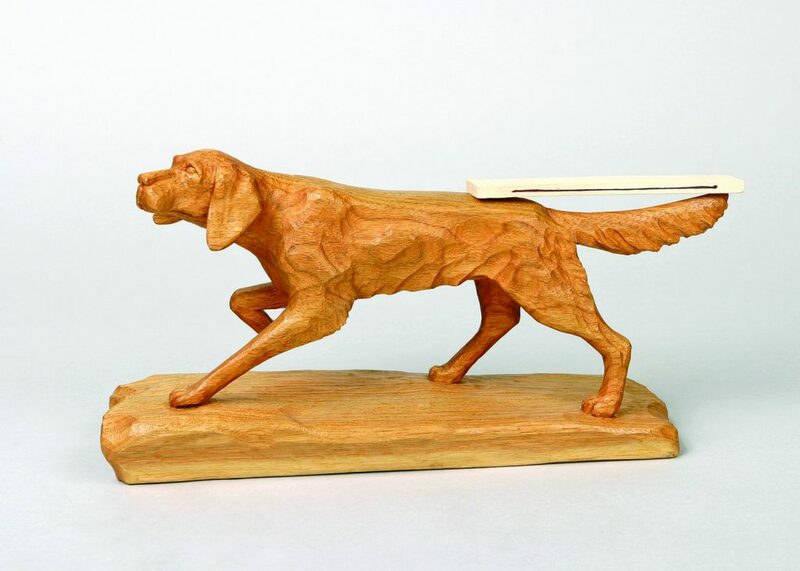 The most fragile part of this carved dog is the tail. To give it strength, I laid out the carving so the grain ran parallel through the tail. 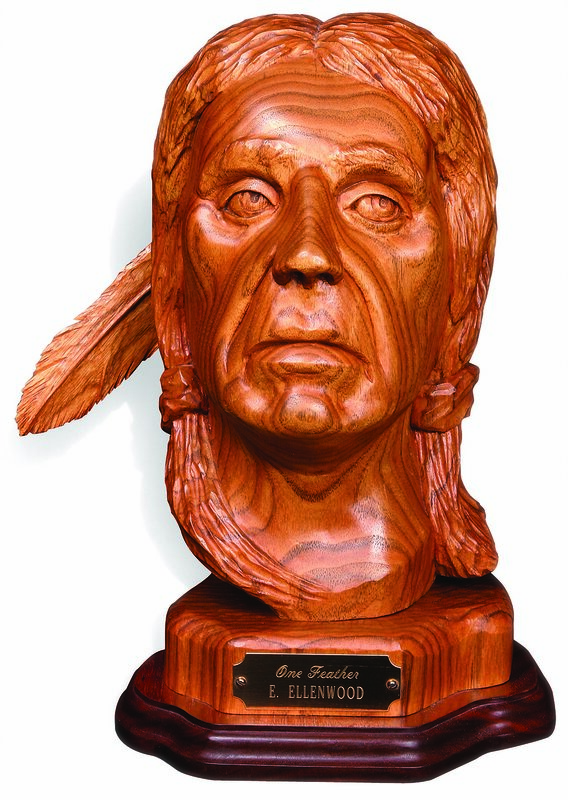 Everett Ellenwood is a well-known carving instructor and author. 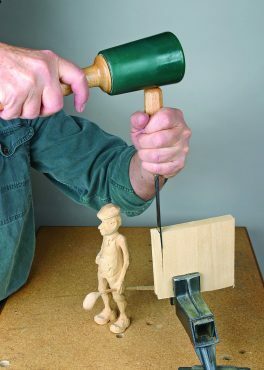 He also produced DVDs on carving and sharpening. For more of his work, visit www.ellenwoodarts.com. 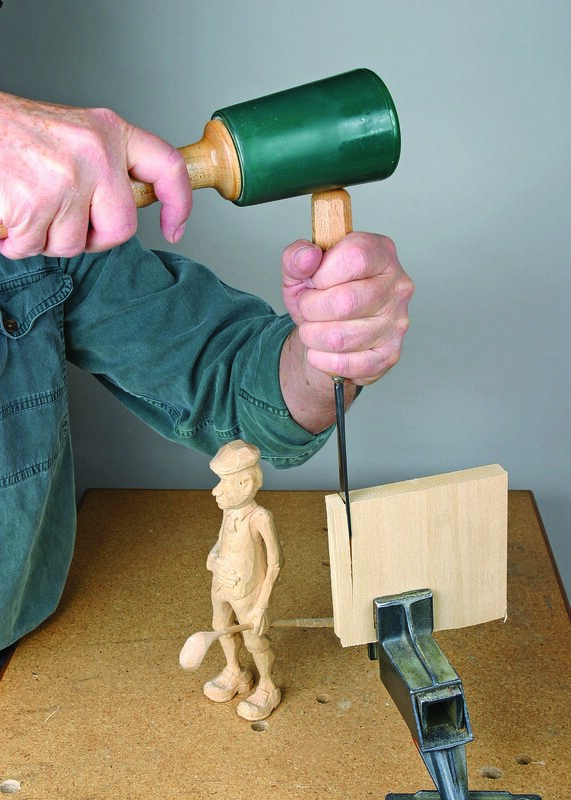 Dive deeper into woodcarving with The Complete Book of Woodcarving!